It is a Beauty! 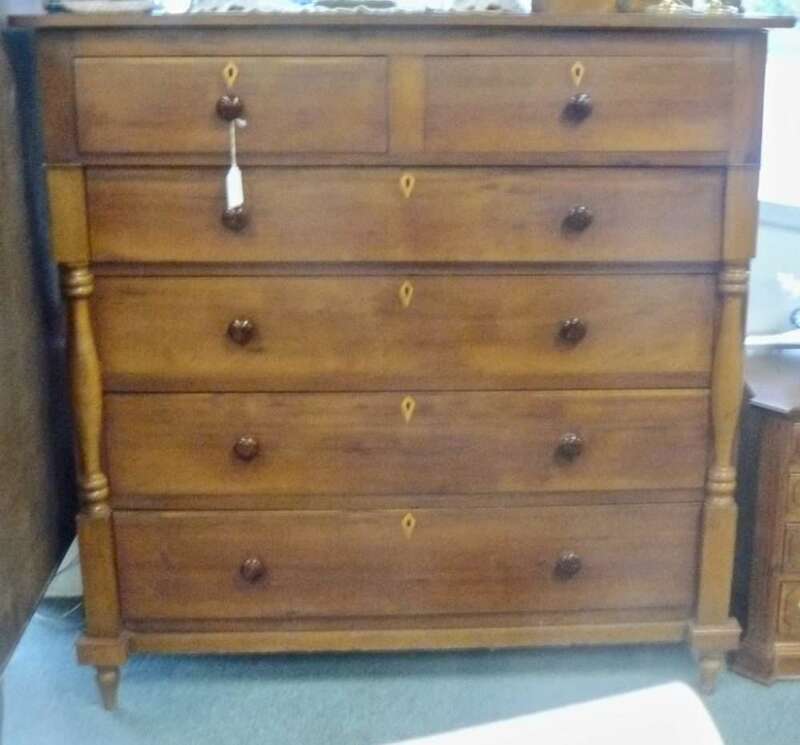 Hand Crafted Chest of Drawers from Booth 411 – with Inlaid Keyholes – 1800 – 1820, $1495.00. 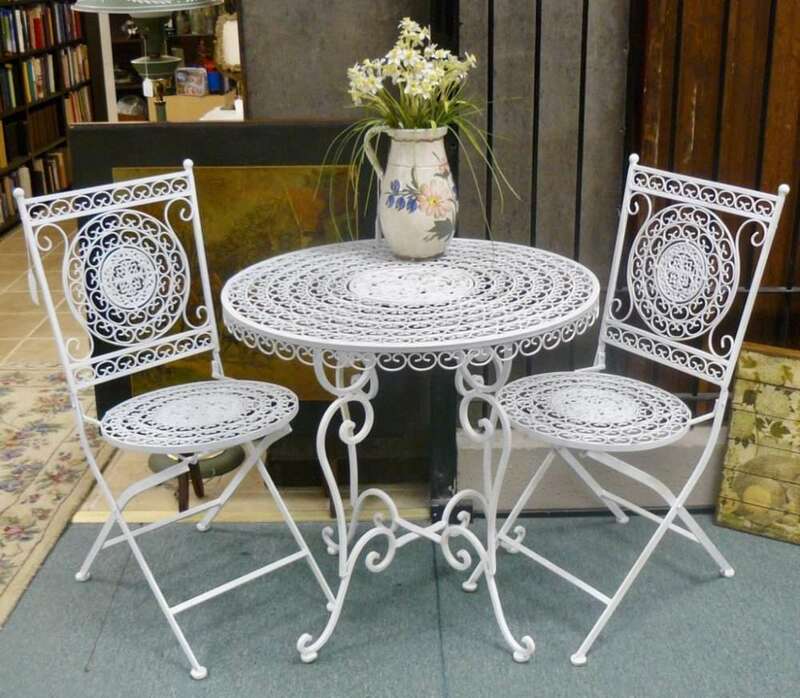 Mid-Century Lacy Pattern Cast Iron Bistro Set – Table and Two Chairs – $240.00, Booth 13. 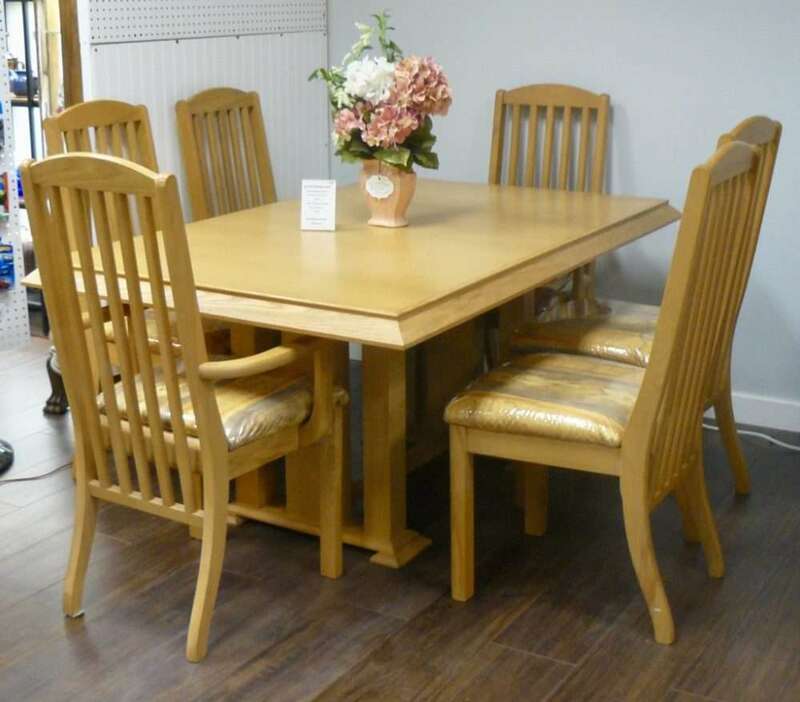 Maple Dining Set with Six Upholstered Chairs – (Its a STEAL at $250.00!) Booth 100. 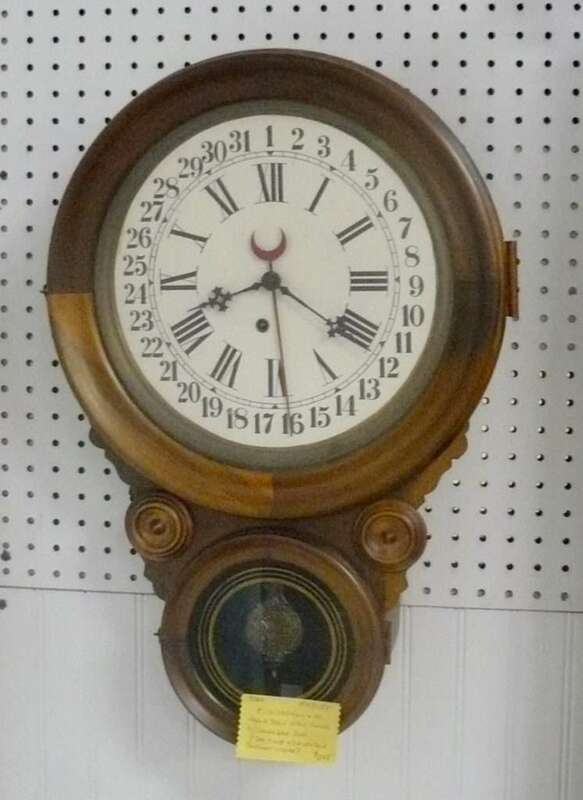 E. Ingraham and Company Round Drop Wall Clock w Calendar Dial – Eight Day Time and Calendar – $245.00, Booth 33ha. 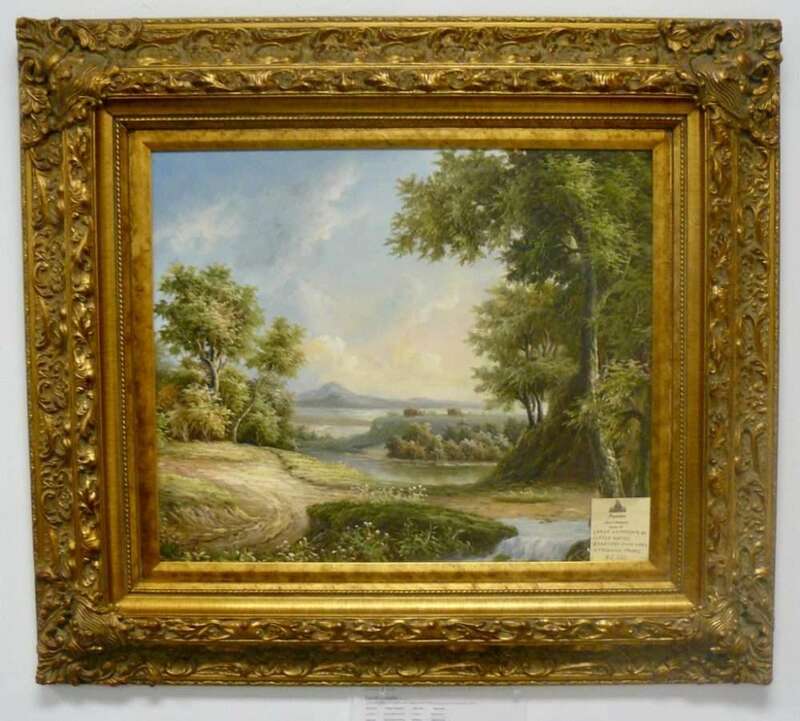 From the Treasure Room, A Large Landscape by David Chapple, Beautiful and Expensive Frame – Listed Artist, $2250.00. 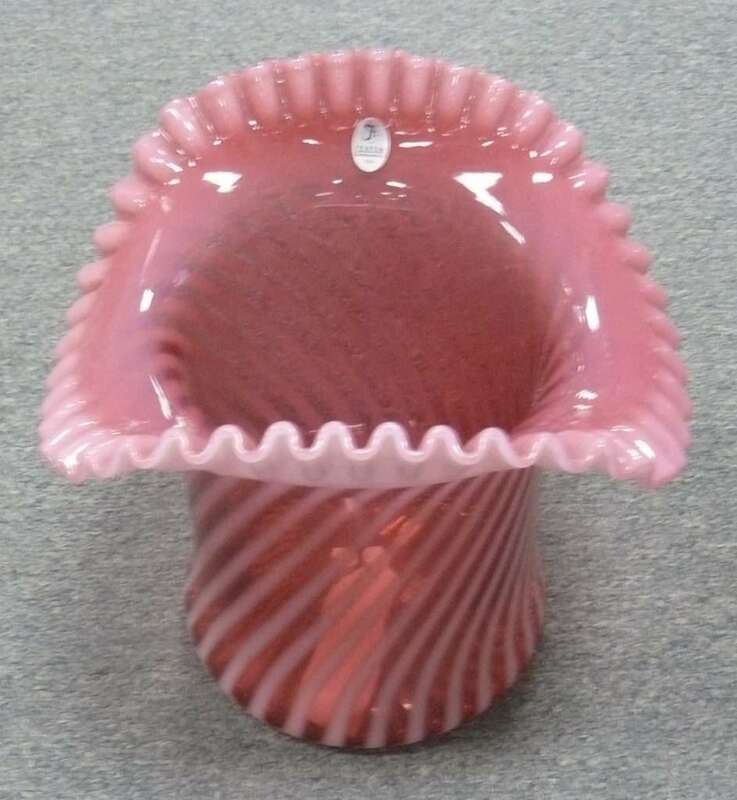 Fenton, Made for Rosso Cranberry Opal Spiral Optic Vase – Quite Large, Booth 420, $225.00. 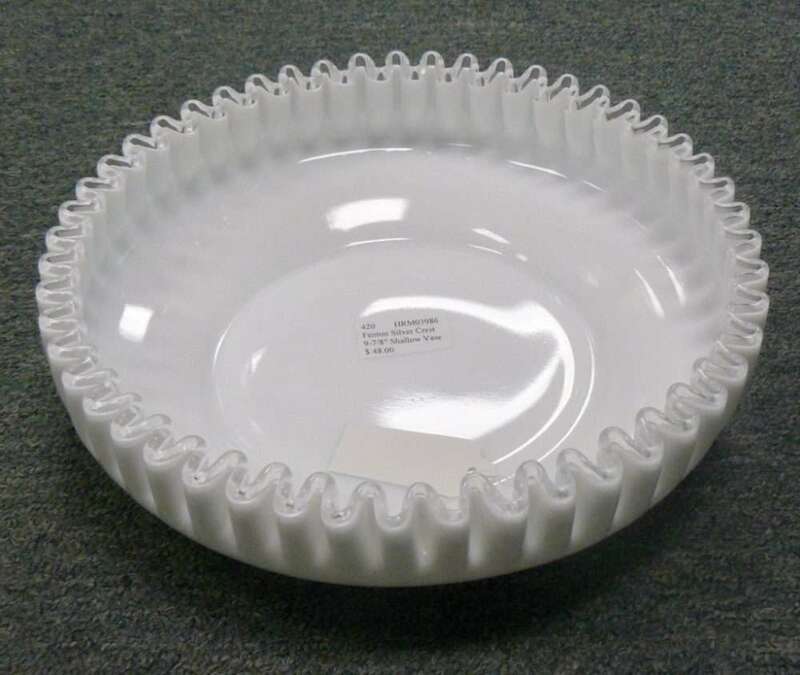 Fenton, Silver Crest Shallow Vase – Booth 420 – $48.00. 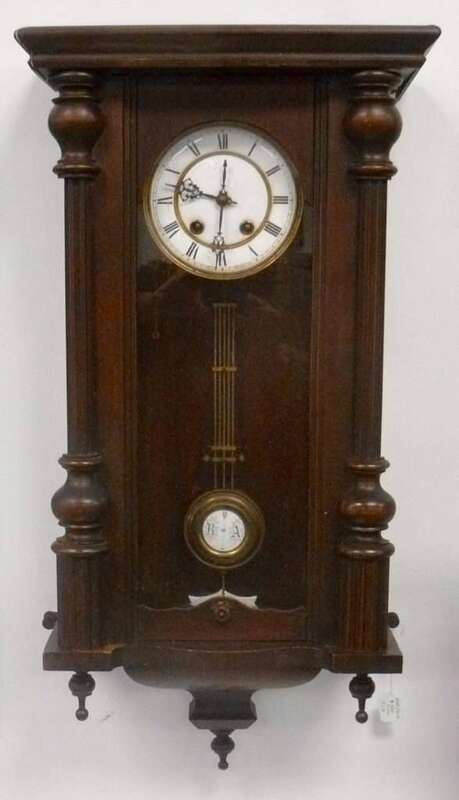 Wall Clock, Treasure Room – $200.00, Booth 326. Thanks, Folks – For LOOKING!! 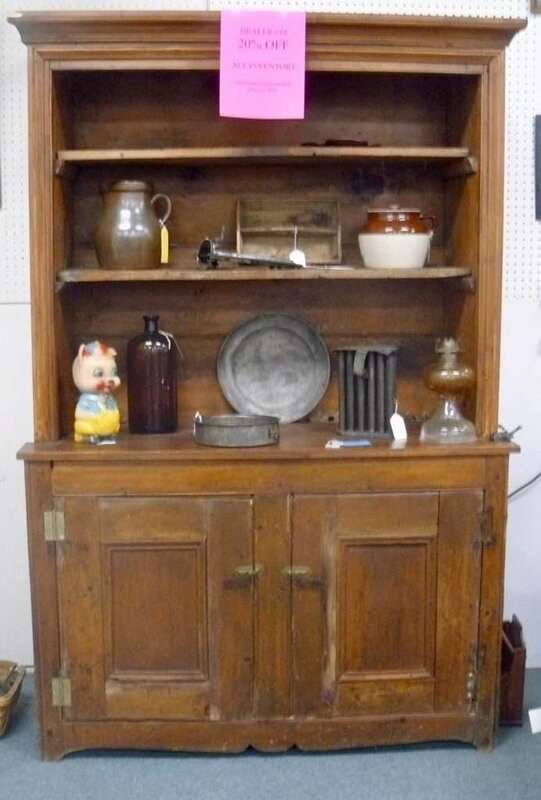 ‹ Imari Charger, a Store Jar and FREE APPRAISAL DAY – COMING UP!